This week I’ve been struggling somewhat with the precarious balancing act of recovery. I am slowly becoming an active and autonomous person in this world. That fact is absolutely terrifying. I am attempting to be part of the world but not letting it overwhelm me. I now exercise…yes it’s true. I have been to two whole pilates classes and am attempting to start kick-boxing. though I pushed myself too hard on the cardio at the kick-boxing on Thursday and my chest is still aching from my asthma attack. Attack sounds dramatic but I’m not sure what to call it. Incident? Episode? Either way it was rotten. I’m pretty keen to keep this exercise routine put. The problem is exercise was one of my negative coping mechanisms when I was suffering severely from my eating disorder. My therapist says that classes are good because there is a set end time so I cannot exercise to excess. I was thrown entirely at pilates last week when Courage by Superchic came on the playlist, a song about living with an eating disorder. The Internet is a major issue here. If we ignore all the horrible and depressing articles about we are still left with disgusting adverts encouraging to ‘loose weight with this one simple trick’. Scribbling though the first part of my novel and having lots of fun with pie charts . I’m ensuring I have all the elements of my novel stuck in my head before I go on to write the next part. I left the house, read stories to the little ones at the library then went into Crafty Sew & So. It felt good to get out of my head for a day. Freya and I came up with a wonderful story all about two women who become superheroes after training in the art of kick-boxing. I had so much fun sketching a comic of the story when I got home. At some point I aim to refine the it and find someone who can actually draw to complete the work. I created a great little Bunny tutorial for Crafty Sew & So. It was a lovely day so I decided to take the pictures outside. I went over to see Freya in the evening for the aforementioned kick-boxing class. On the way I couldn’t resist taking a photo across from the old liberty building. Despite the horrid asthma affair I did have lots of fun at Kick-boxing and will hopefully be back on Thursday, though I’ll probably be a little more cautious with the cardio. I was feel exhausted still from asthma, but determined to have a good day. I got myself all prettied up in the morning, and googled how to wear a head scarf. At the shop I got started on gorgeous kit that has just come into Crafty from The New Craft House. The fabric is so easy to work with. I like sitting in front of the tv with a good cup of tea and hand sewing the hexies together. Hopefully it will be done soonish and I can show you all how it turns out. Manically crazy busy day at Crafty Sew & So, It seemed everybody wanted fabric, I tried to do a bit more of the cushion but I just ended up stopping and starting because of all the lovely customers. In the evening, however, when my husband was busy playing destiny I started trying to edit my novel. It didn’t particularly work as I ended up drawing a scene from one of the pages. Today I have been once again going through my novel, I managed to get through two chapters so far and hope to get at least another one done today. It was my plan to have finished by the end of the week. Above is the pie chart for characters mentioned and present in the first nine chapters. Reading was one of the first things I loved to fall by the wayside. Slowly but surely my love of reading is returning. Though my brain has yet to wrap around books of any length I am very much enjoying Audio-books and graphic novels. Recently I’ve discovered a wealth of amazing autobiographical graphic novels, exploring personal journeys of recovery and mental health. Here are a few of my favourites. This is a perfect illustration of living with an eating disorder, particularly if abuse was a key factor in it’s development. Please be aware that this book can be triggering and only read if you are in a healthy place. My husband has also read this book, the poignant illustrations helped him understand the things I cannot explain. I stumbled upon this in the Wellcome Collection bookshop. They have a fantastic selection of books concerning mental, as well as physical, health. This short comic feels like a snapshot of the authors life. really useful for anyone who thinks their problems aren’t ‘real’ enough to seek help. Absolutely hilarious and only a little heart breaking. Brosh’s illustrations are so simple yet express a width depth and breadth of emotion. Brosh reveals so much about her life, from her struggles with depression to the, possibly ill-advised, adoption of two dogs. I finished this book then read it all over again. I laughed and I cried, sometimes at the same time. The author travels back through her past attempting to fix absolutely everything. It is a tempting prospect to go back and change all those humiliating memories. The ones that still creep up on me when I’m in the shower or trying to get to sleep. This is a fantastic tale of accepting yourself by facing up to those memories and being able to move on. There’s also a couple of non-autobiographical comics I find helpful I think they belong here. Essentially a picture book for adults. Flimsy is a charming character who gives his very best advice on modern living, whilst always holding tight to a glass of wine. Its a simple reminder of all the lovely things you can do to feel happy. My husband picked this up for me at Leicester Comic con and I have a lovely sketch of flimsy drawn by the author. I mentioned this stunning book in a previous post. I really can’t recommend it highly enough. Every page is illustrated beautifully. The story takes you through the dark woods, alongside a young fox, in search of his star. It’s a true delight to read and sure to calm any chaotic thoughts racking the mind. 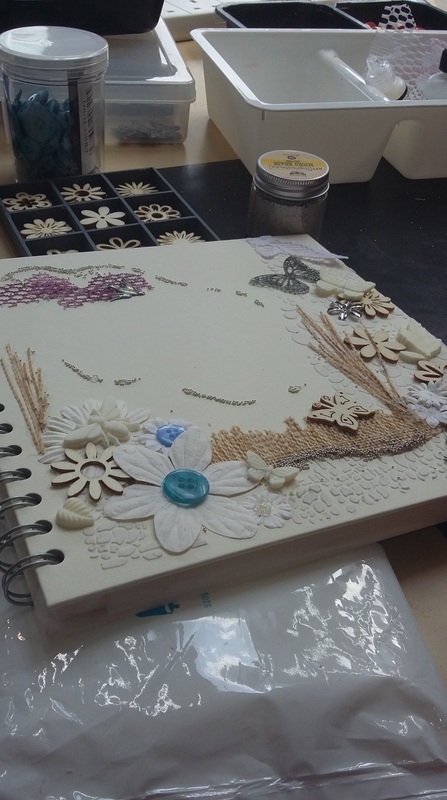 Yesterday I went to a wonderful craft day with Neil Burly at perfectly 4med. This was a Christmas present from my mum. Only recently have I felt well enough to leave the house for a day. The main obstacle was eating in an unfamiliar environment. Happily I coped just fine with my packed lunch, sitting outside with a gorgeous Labradoodle named Charlie at my feet. 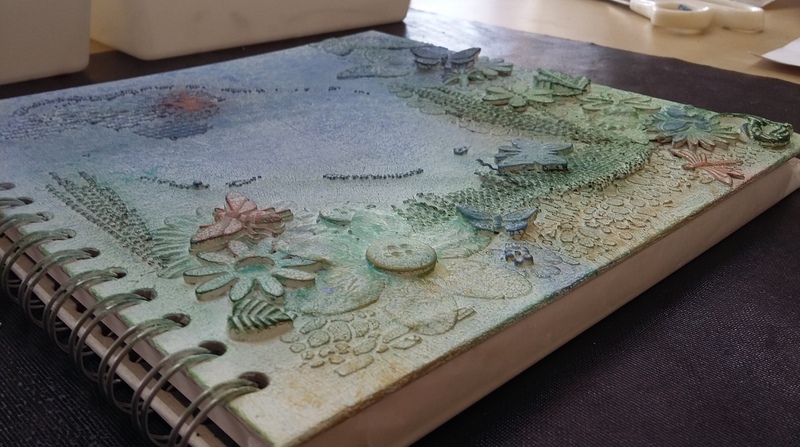 We started with a blank sketchbook and added texture with paste and glued all sorts of beautiful bits and pieces into place. 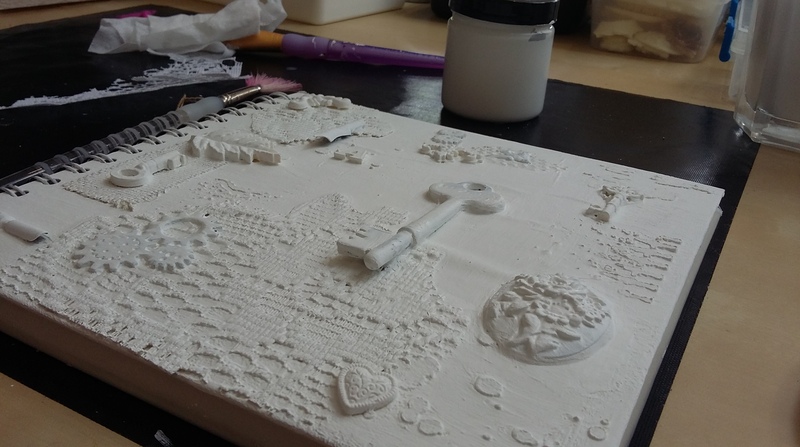 The next step was to paint over it with craft paint, I can’t remember what it was called but it was a chalky, acrylic, glue paint. it took me a couple of times because the metal was tricky to cover. I had absolutely no idea where to go from here, and felt very much like I a school child and asked for help, turns out I just had to do more. 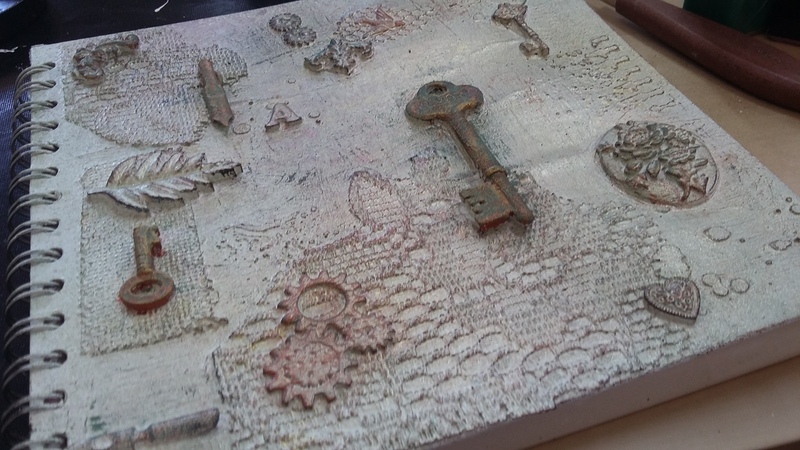 I sprayed more colours and it looked a lot more like i wanted however now the bronze key and bits looked way too bright and not at all tarnished. Again I looked helplessly about and asked for help to make verdigries effect. it turned out perfectly. I was amazed at how many different looks came from the same materials. I had a fantastic day and would recommend it to anyone. I began a frenzy of notebook binding a couple of days ago. Today I have a little collection of handmade Japanese stab bound books. 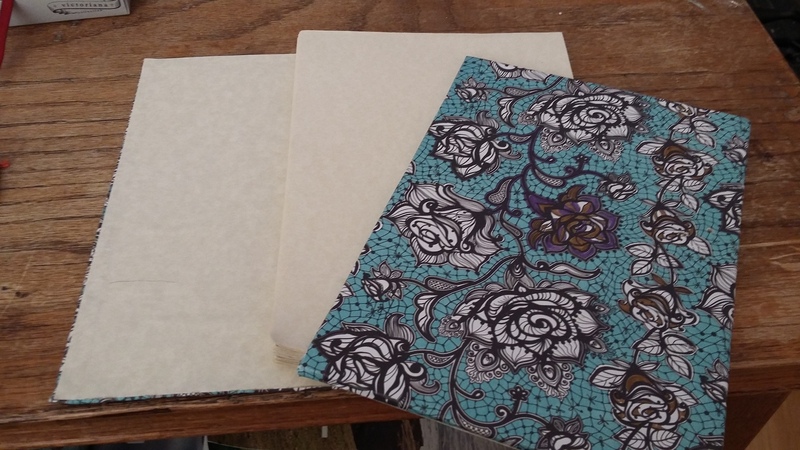 First I made this notebook with a pad of parchment paper and hard card i’d scavenged from around the house. 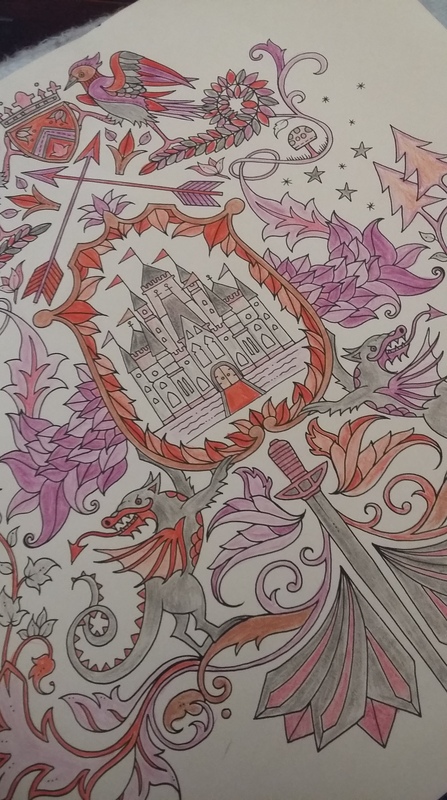 I covered the card with some beautiful paper from one of my colouring books. I messed up to start with and I made the card the same size as the paper. I very carefully unwrapped the board and cut it to the right size so it sits nicely next to the stab binding. I glued the first page to the cardboard and placed it in between a couple of very heavy board games and left it there over night. 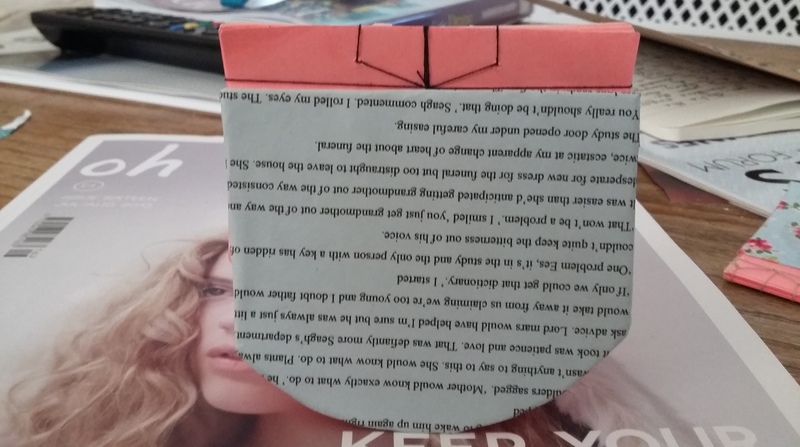 Next I made a little notepad from a round poster and an early draft of my novel. I trimmed the coaster to fit the notes and glues it the same as before to the front. I trimmed the excess paper from the notes and pressed it. For my third notebook I tried a variation of the turtle pattern. it ended up a little messy but it’s nice nonetheless. I used thin card, by this time I’d run out of thick card to ferret out. I covered the card with fabric, using fabric glue, it would have been better if I used bookbinding Pva glue because it’s Ph neutral and wouldn’t leave marks. 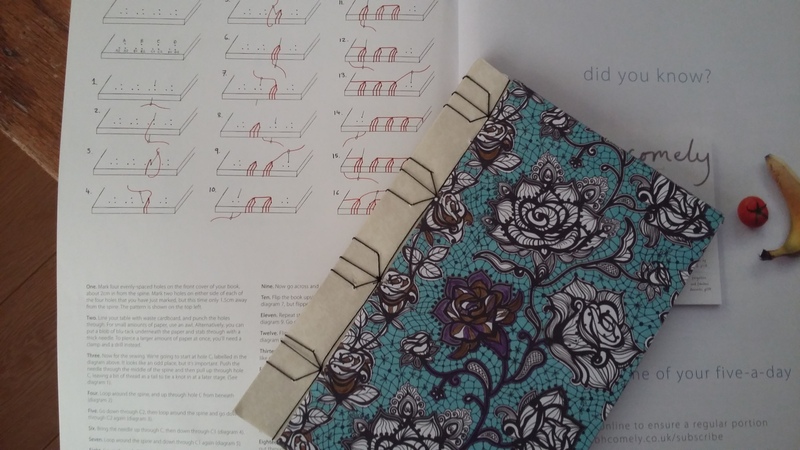 The final notebook I made is similar to this one but with the simple turtle pattern and thick cartridge paper. I covered it in a jaunty nautical print. 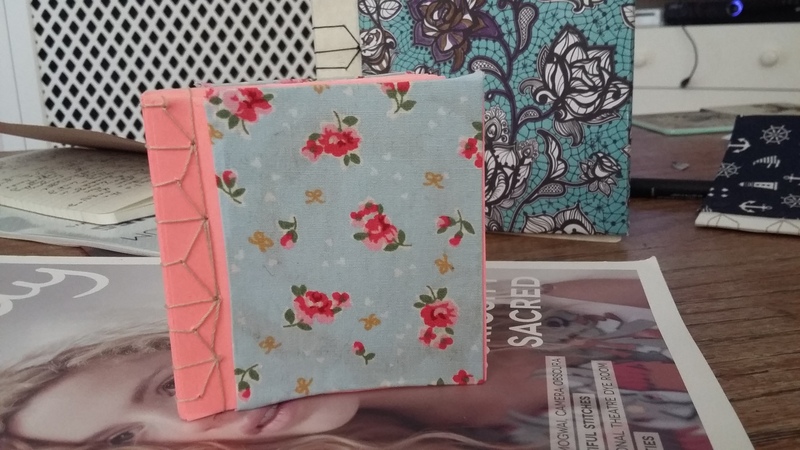 I’m sure there are much better ways to fabric bind books which i will look up at some point but for now I’m very happy with all my notebooks. In the book they add rabbit ears to the top but I prefer it simple. 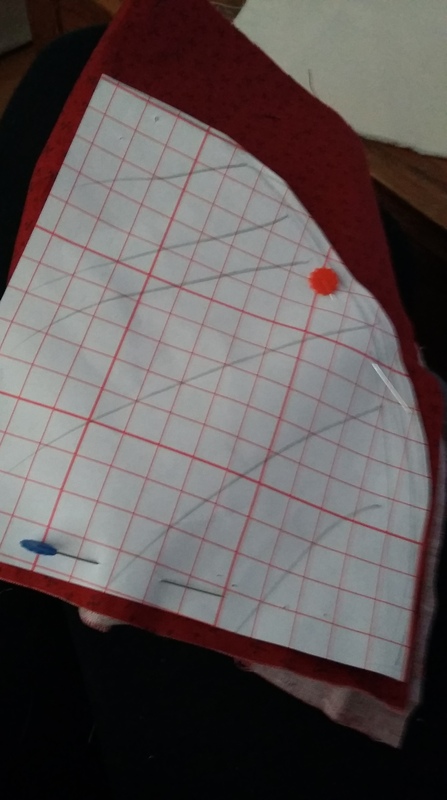 I think I may have gotten a little over confident because I made a pattern without looking at the measurements and ended up making it a touch too small. That caused a major anxiety and stress later on but let’s put that down to experience. 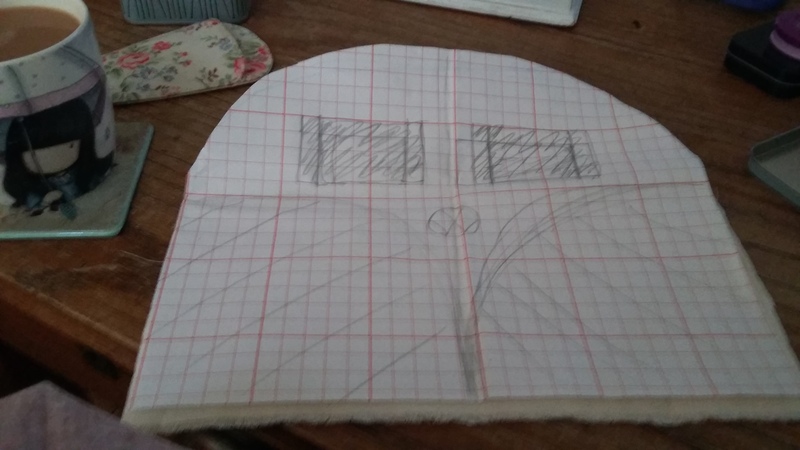 First thing I did was draw a simple Volkswagen on to paper then cut out four pieces of plain cotton using this pattern. 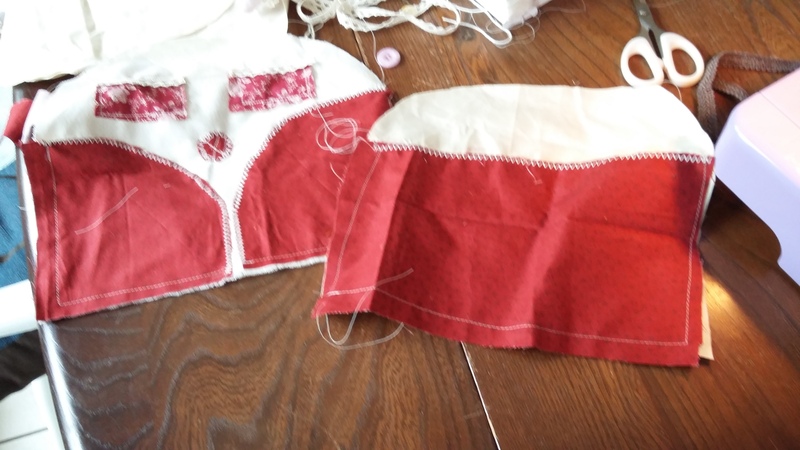 Next I cut out all the little bits from the pattern and pinned them to my pieces of fabric. 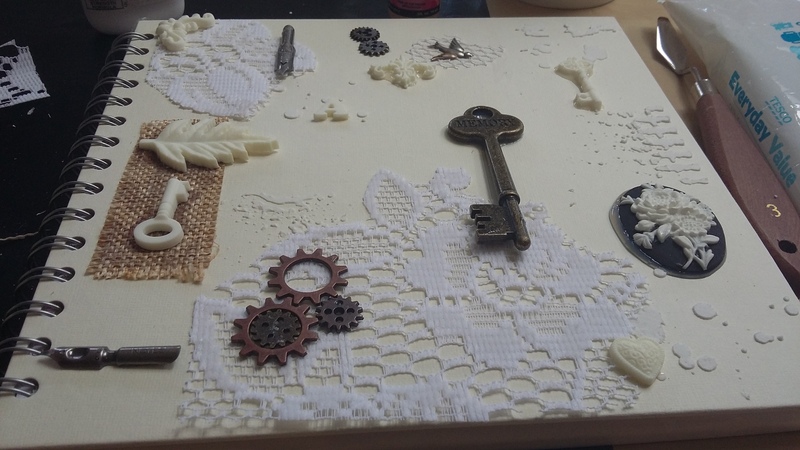 Cut these pieces out. 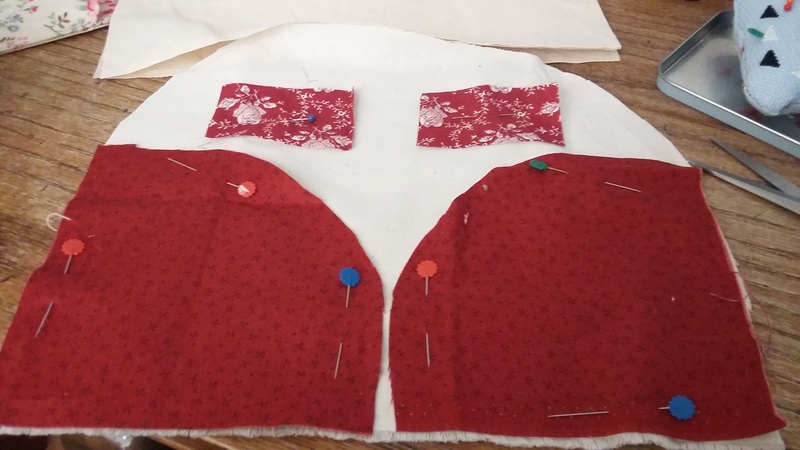 If you want a neat look you can press down the edges of the shapes, but if not just pin the pieces with raw edges to one of the main pieces of fabric. 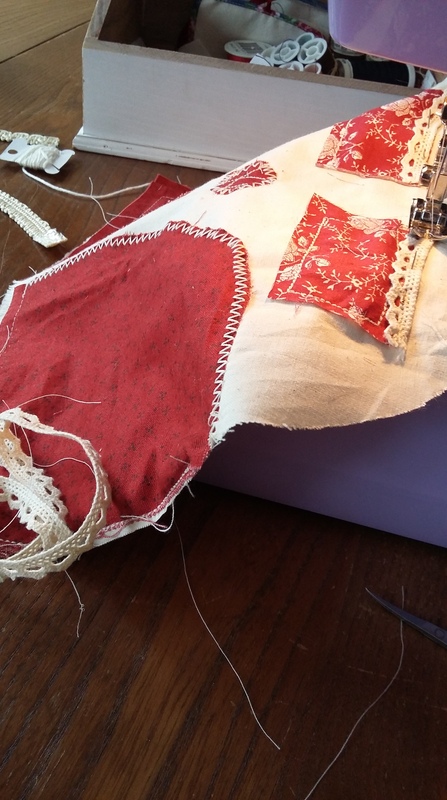 Most sewing machines have various fancy top stitching, it’s fun to experiment with those. If you don’t have a sewing machine it’s fine just to hand sew. 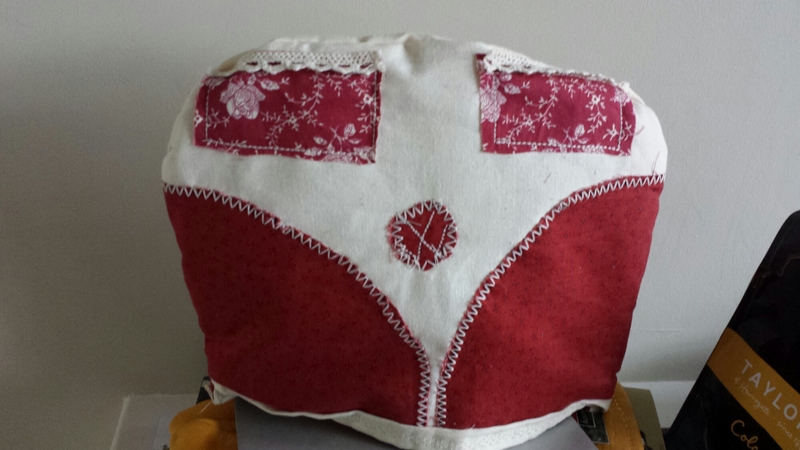 I ended up using the sewing machine for the little VW sign, it might have looked better hand sewn. Next cut out another piece of material, the same hight as the curves of at the front and width of the plain material. 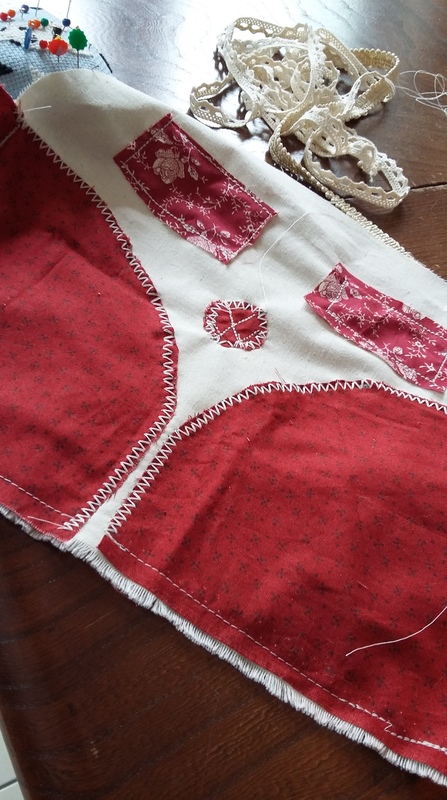 Sew this to another piece of the plain fabric. As you can see you don’t have to be too neat with it. Any things that look rough you can explain away by looking saying it looks ‘handmade’. 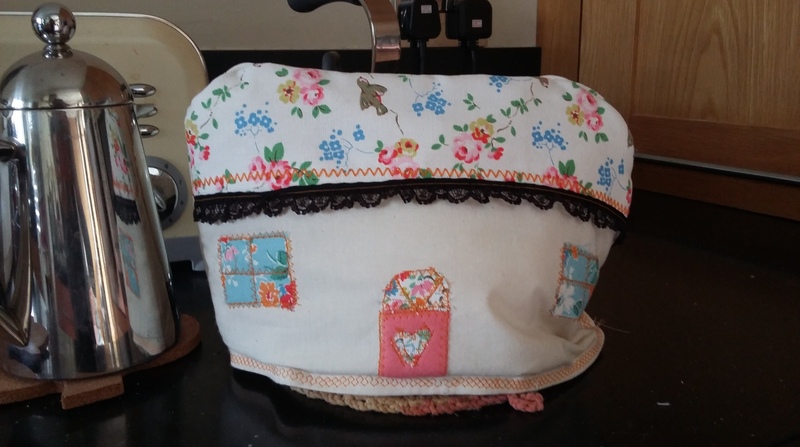 Place the front decorated side of the tea cosy to one of the remaining plain pieces. Do the same with the back piece. Sew together good side to good side along the curve, leave 2-3 cm on each corner loose and the straight lower edge open. Turn right side out. Double hem the inner lining and pin it into place, folded over the patterned material. Stitch the fold into place. 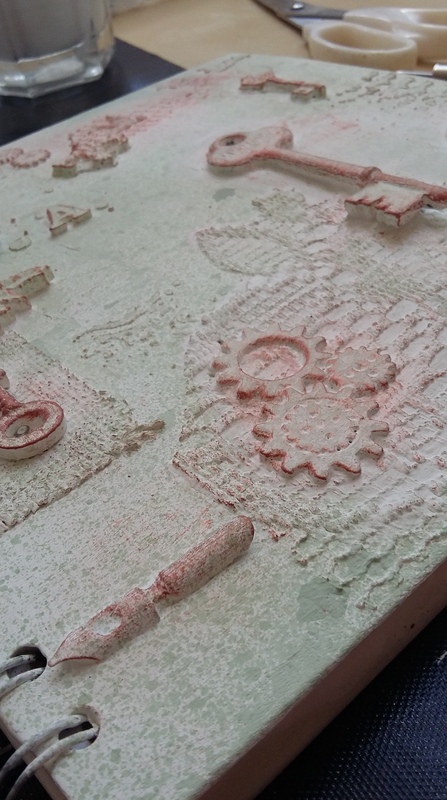 It was at this point I realised I’d managed to make the two pieces different sizes! 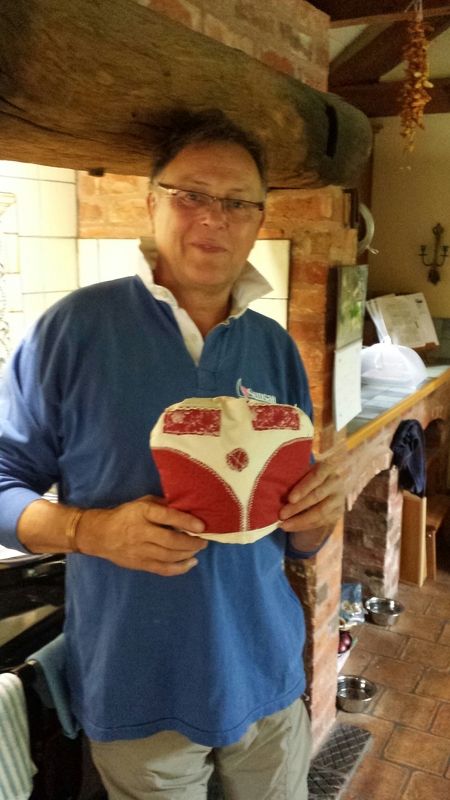 There is no picture of my too small misshaped tea cosy as it was at this point were I’d worked well past lunch time. The cosy was so small it barely looked like it could cover a mug. I can’t be sure my view of it was objective, My husband told me it was fine, in fact he told me it was good, great even but I did not believe him. When he suggested I take a break i could feel my skin prickling. I was not about to stop. I unpicked the mess and by this point my hands were shaking and I couldn’t tell whether it was from hunger or from frustration. Once i had unpicked it all I reluctantly left my work to eat some food. Once I’d eaten I began to calm down and gave up on the mission for the day. 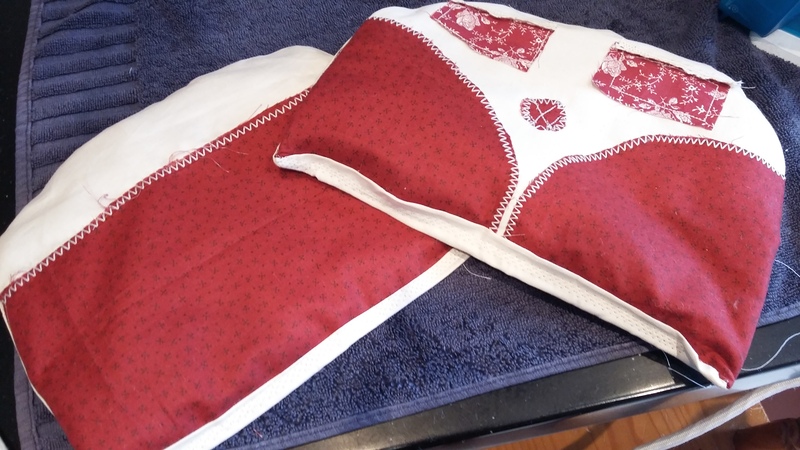 The next day I set up my machine, painstakingly slowly sewed the two pieces together as close to the edge as I could, when I turned it over it wasn’t perfect but it was okay. I am trying my hardest to learn that everything does not have to be perfect. Here’s the finished product it fitted perfectly and my father in law is very happy with it. 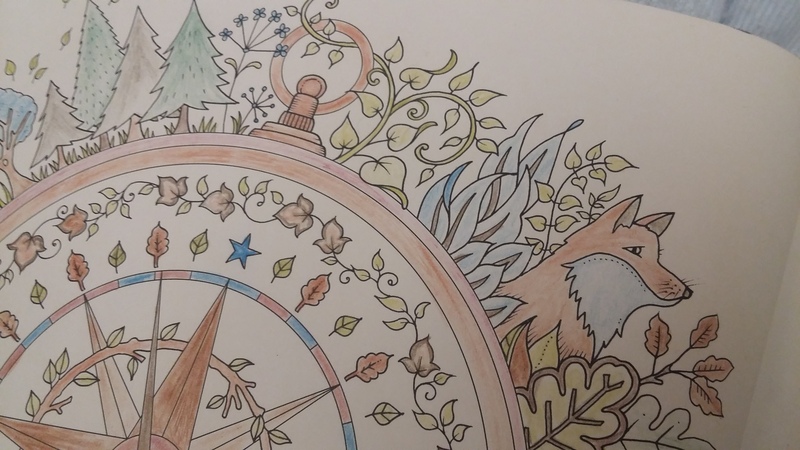 Colouring is probably the most relaxing forms of art around. You choose the colours, deep and dark or pretty pastels. Here’s a few bits I’ve done from Enchanted Forest. After doing a bit of ink drawing from everyone can draw I decided to ink the next pages of enchanted forest. I started with indian ink and dip pen. 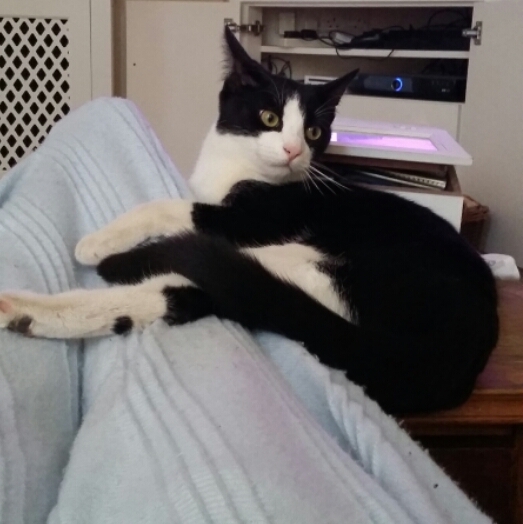 I enjoyed it until Baratheon decided he had to be on my lap right then! 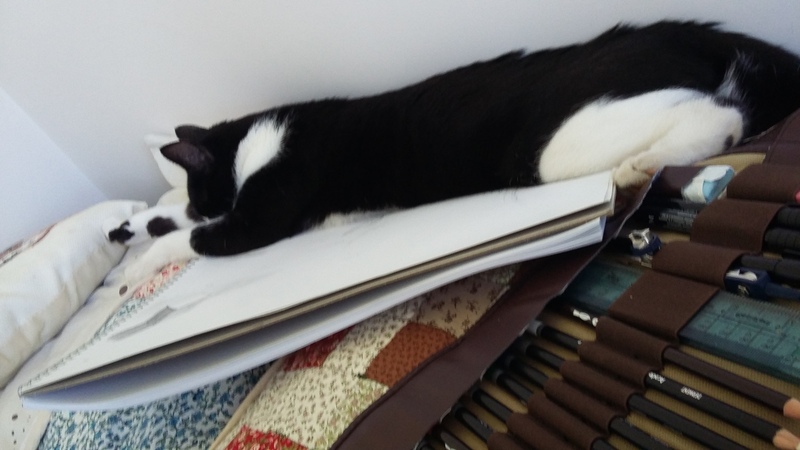 This isn’t even the first time he’s been a pest when I’m trying to draw. 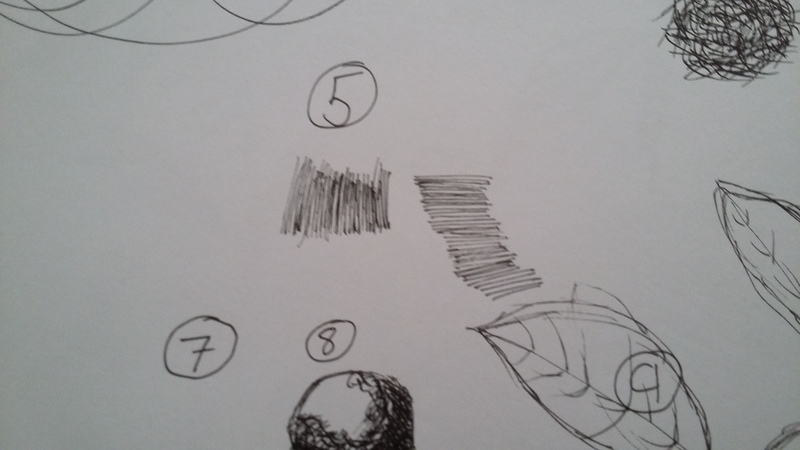 I picked up again with a Faber-Castell PITT artist pen. 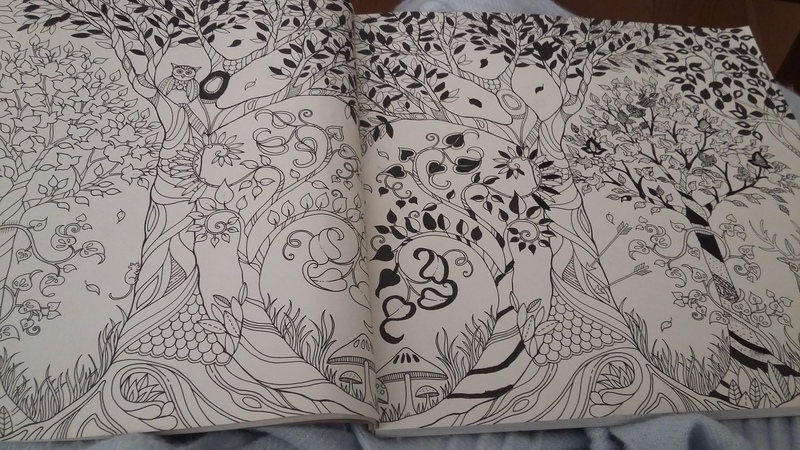 I decided to make small patterns for the first tree and then use the bold pen for the taller trees leaves. It’s lots of fun to dip in and out of whenever you fancy. though now I’m tempted to buy lots of pretty coloured pens and inks. 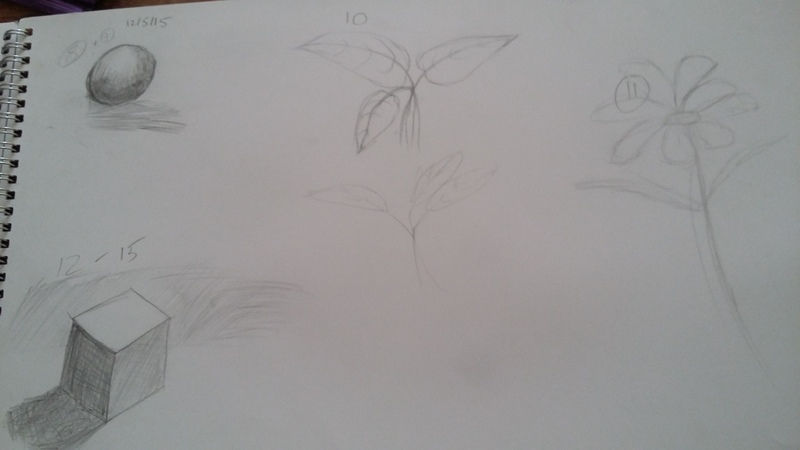 I’ve always been keen on drawing but my perfectionism has gotten in the way. If there’s a drawing I’m not happy with I’ll often just tear out the page rip it up. This is not conducive to learning. Recently I’ve decided to make another attempt. It took me a surprising amount of time to find a book that actually began with the basics. Every book I looked at went into very technical detail and demanded knowledge of technical materials. This is an awful lot to assume of a novice. I finally found one that seemed perfect when perusing the little library down the road. |his trip in itself was a big achievement as it was the first time I left the house by myself in a very long time. I managed to push through the anxiety and even had a nice conversation with the library assistant. I walked home, very proud of myself, with a Everyone Can Draw and a small bundle of books under my arms. I skipped the introduction, hopefully I’ll go back but I was impatient to start. 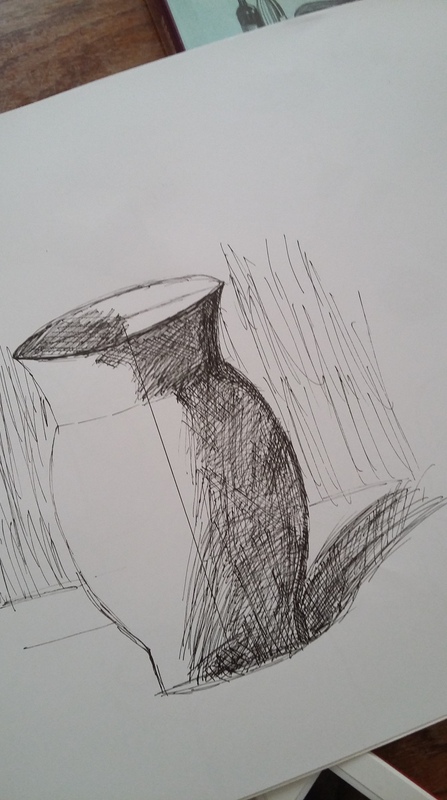 The very beginning taught me different ways to hold a pencil, work with tones and create simple shapes. 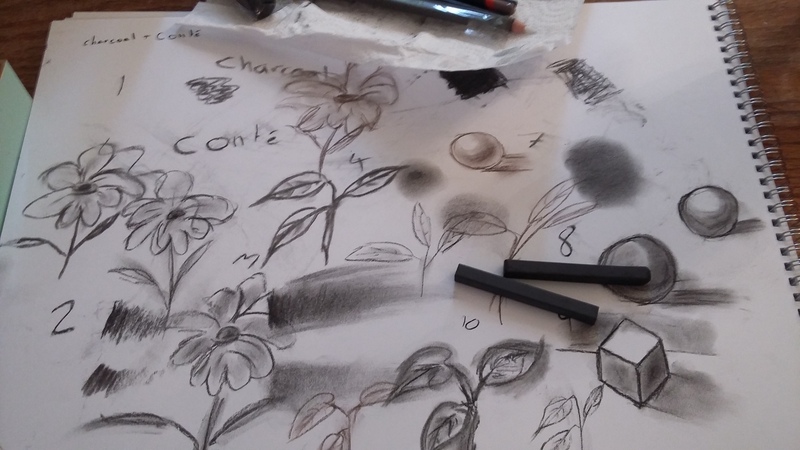 I particularly like the fact that Barber give advice on which pencils to use an later which charcoal, pens and brushes. 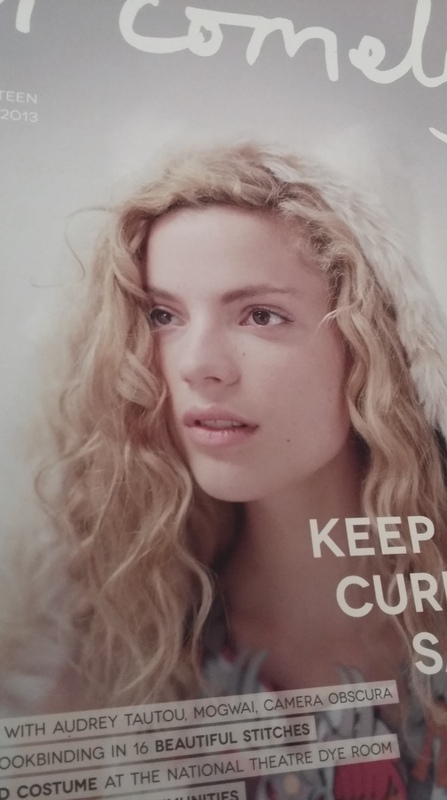 So far the ‘lessons’ are clear concise and not the least bit patronising. I’m really looking forward continuing, I’ve just order watercolours and brushes and will post my mess of an attempt here.